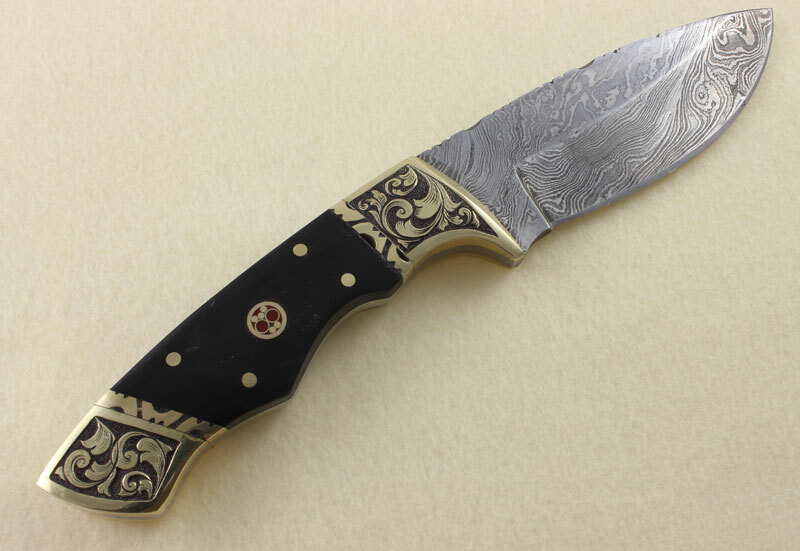 This Damascus steel fixed blade knife was sent to me for engraving by a young lady who wanted to give a very special gift to her boyfriend who is an avid outdoors-man and hunter. 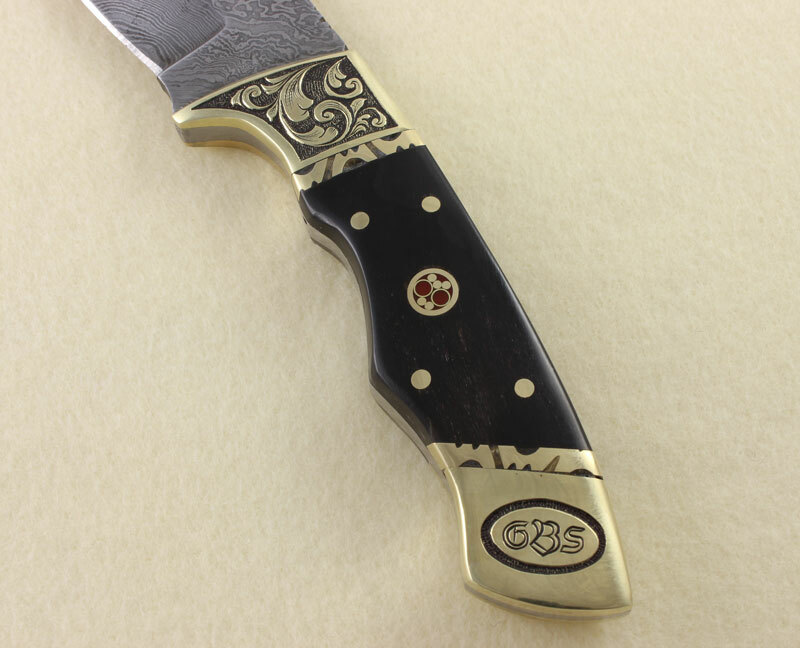 She asked me to engrave his monogram and a nice design onto the brass bolsters on both sides of the knife. 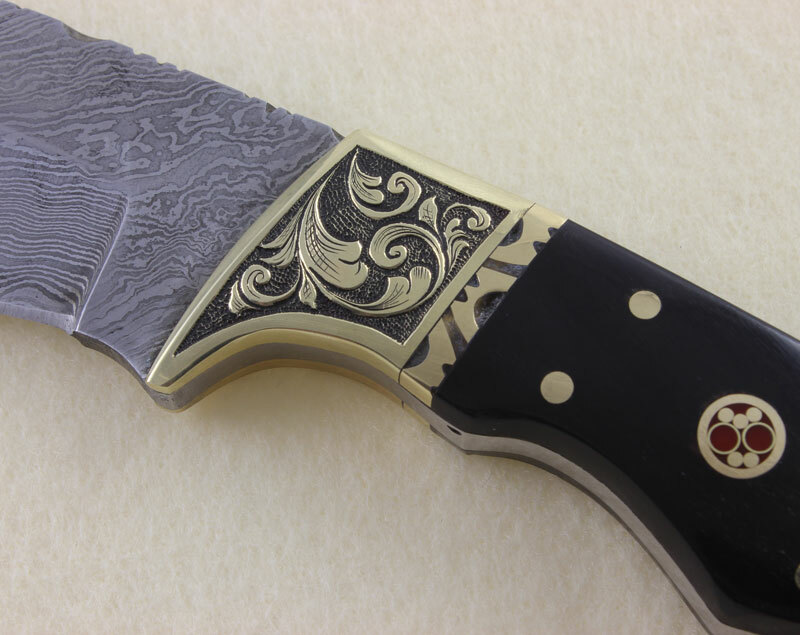 Hand engraving brass can sometimes be a bit tricky depending on the makeup of the particular brass alloy. 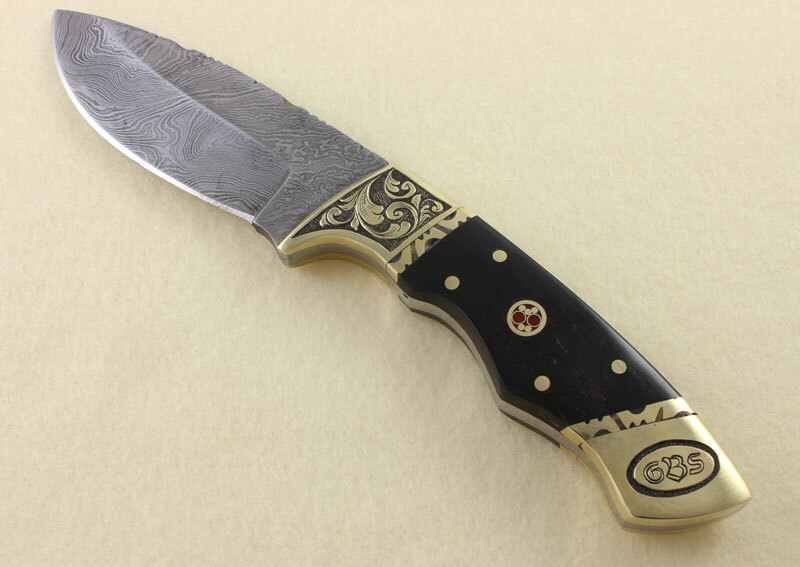 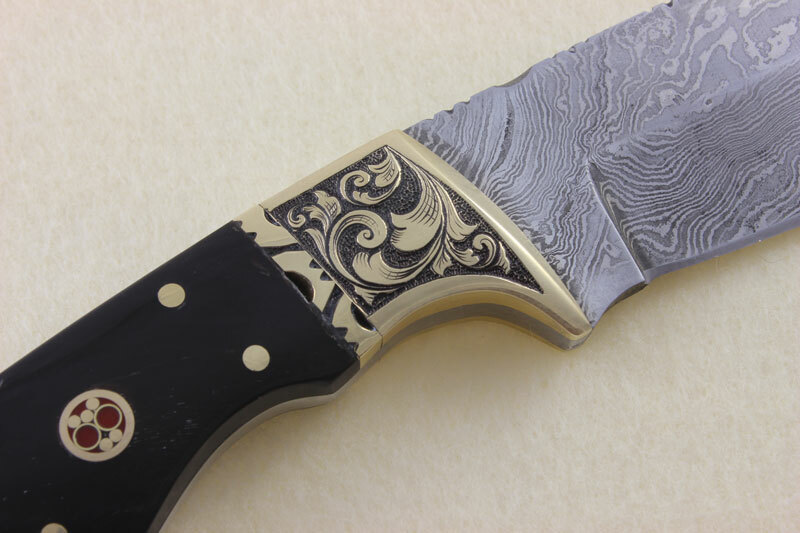 This one worked out pretty well and I think the deep relief hand engraved bolsters work together well with the overall design of this knife.